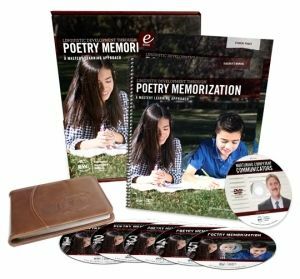 Poetry memorization is something new we just started doing in our homeschool. While I’ve always envied the men and women of the 1800s (from books and movies) who could recognize writers and poetry from just a few verses, I’ve never taken the time to do it myself . . . until recently. A few weeks ago we received Linguistic Development through Poetry Memorization from Institute for Excellence in Writing (IEW) for review. And man was I excited to get it!! I have been saying this for years. If a child can memorize songs from the radio or TV, there is no reason they can’t or shouldn’t memorize Scripture- or in this case, poetry. This truth I have always know, but until we received this set for review, I had no idea how much of an impact on children memorization had. Neurologically, memorization develops the brain in a way nothing else can. Neurons make connections through frequency, intensity, and duration of stimulation. When children memorize interesting poems, all three of these variables are involved in a powerful way, strengthening the network of neural connections that build the foundation of raw intelligence. Linguistic Development through Poetry Memorization isn’t just a memorization curriculum. It also sets the stage for maintaining your new neural connections (memorized poems). We all know that anything memorized but not revisited is quickly forgotten. You can see samples of all five levels of poems and speeches on the website. My first thought was to just listen to the poems a few times a week, but that didn’t work. After a few failed attempts at gathering everyone into the living room (because we have to use the DVD player) to listen, I realized this would be handled better if I included it into our daily circle time. After revisiting the teacher’s manual, I realized that we were supposed to be reciting the poems several times a day. Oops. So beyond just reciting the poems during circle time, I made copies of the poem we were working on and put them in the bathroom, toy room, and in each of their bedrooms. The older kids could read the poem and recite on their own whenever they saw it. And I noticed that my littles would ask me to say it with them whenever they saw the poem on the wall. I also wrote them in a notebook I keep in my purse, that way I could “quiz” the kids while we were out and about. 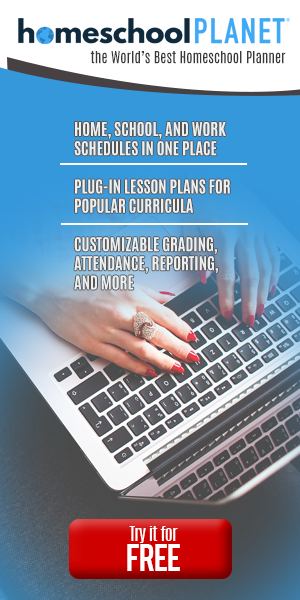 Overall, we’ve all enjoyed using the program and working on our memorization skills. I like that all of us, ages 3 to 33, can work on the same thing at the same time. Not only has this been a great mind enhancer for all of us, we are spending quality family time bonding together over great poetry. Does it get any better than that?